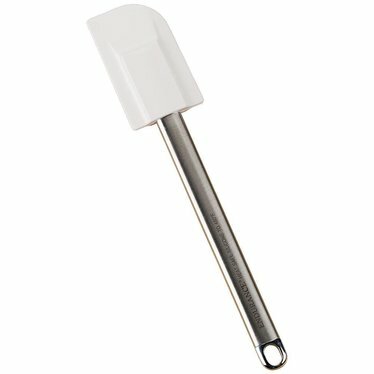 Mixing, scraping, even frosting - this spatula is ready to endure all your kitchen tasks, even in the heat. Its silicone head is heat-resistant up to 480°F! Plus, with its stainless steel handle, there are no worries of bending or breaking. Available in other sizes (sold separately). No worries of melting or changing shape - this spatula is heat-resistant up to 480°F!